Master song-stylist Pat Guadagno brings the head-scratching, mind-bending brilliance of Tom Waits to the Algonquin stage. Pat Guadagno and his band Small Change, deliver the Blood and Whiskey stained music of one of the most deviant and provocative artists of our time, with passion and reverence. The Oscar-nominated, Grammy award-winning Tom Waits, once called �A role model for the marginalized and misunderstood�, recorded 27 groundbreaking albums during a career that spans 5 decades. 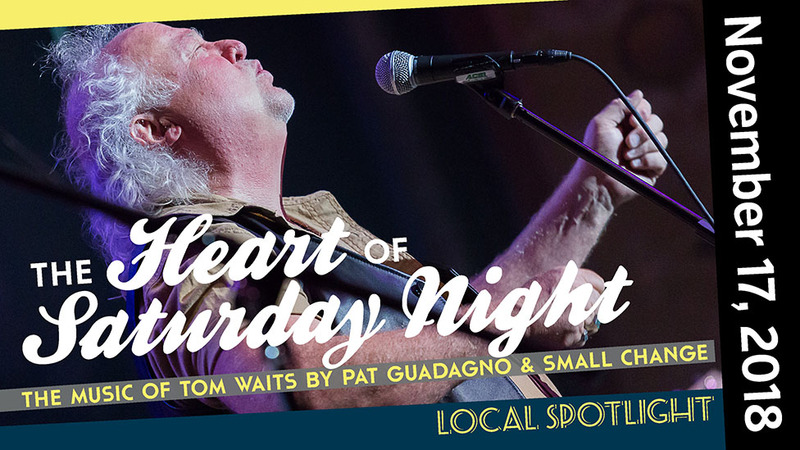 Follow Cigar Chewin� Charlie, Jimmy the Harp and The Pock Mark Kid through theatrical tales of bungled romance, late night diners and early morning cold fronts as The Music of Tom Waits cuts through the night like a Cleveland-bound Greyhound straight to The Heart of Saturday Night.